The situation in Syria shows no signs of improving, despite the efforts of the Arab League to mediate a solution. Of course, it would be helpful if the Syrian regime of President Bashar al-Asad was interested some sort of compromise. Asad is operating under the belief that he will be able to survive this crisis and remain in power - he may be right. The Arab League, as well as many other nations including neighboring Turkey, have called for Asad to step down. 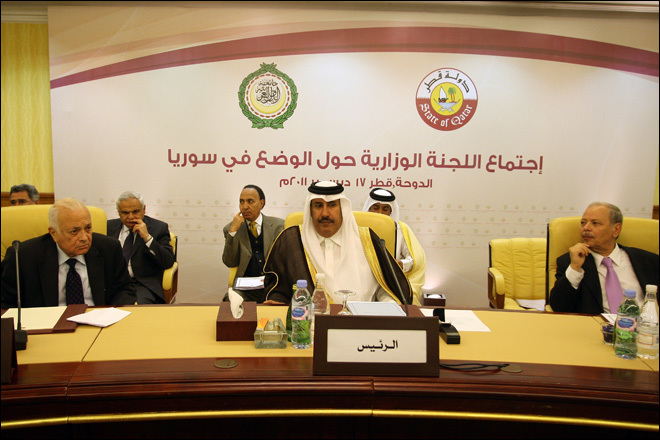 I will give credit to the Arab League for at least trying to address the situation in Syria. Their intentions were noble, if the execution was a bit flawed. Sending a Sudanese general with the cloud of human rights violations over his head to lead an Arab League observer team to Syria was probably not the best idea. The observer team was ill-equipped to deal with the practiced deceit of the Syrian regime. Syrian forces merely withdrew temporarily where the observers were present, only to return as soon as they were gone. This is reminiscent of Iraqi actions when there were United Nations Special Commission observers in Iraq in the 1990s. Not to be taken in by the Syrian regime, the Arab League did release a scathing critique of the Bashar al-Asad government and proposed a plan whereby the president would step down and transfer power to Vice President Faruq al-Shara'. I almost laughed when I read this - Shara' is hardly the leader to guide Syria out of this morass. Shara' is a Sunni from the Dara' area of southern Syria and made his way up the Party ranks via Syrian Arab Airlines (now Syrianair). He rose through the ranks by being a threat to no one. He's a pleasant man for sure, but hardly of the gravitas required for this job. As the situation deteriorates, and it is, despite protestations from Asad supporters, the United States is contemplating closing the embassy in Damascus, citing danger to life and property of American diplomats and staff. The threat to the embassy is real. 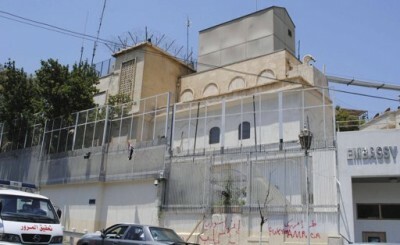 The chancery is not one of the new fortress-style embassies such as the one in neighboring Jordan. The Damascus embassy is housed in two large, old houses that have been joined and modified, but not the standards that would prevent a successful attack. In fact, the embassy has been attacked several times over the last few years. I was posted to this embassy for over two years - make no mistake about this, when there is an attack or demonstration against the American embassy in Damascus, the Syrian government has either organized or approved it. Having served at the embassy and living in Damascus, I understand the security issue. There are consequences of not having a diplomatic presence in Syria. It is not so much about the diplomacy, but the ability to have American eyes and ears on the ground in an area of concern. Okay, that might also mean an intelligence capability that is critical to our understanding of the situation. If you look at the areas in which we have had military confrontations, it is in those countries in which we have not had Americans - diplomats and military attaches - there to observe and report. The situation has gotten so bad the many Arab League members have withdrawn from the mission in Syria, faulting the Asad regime for not halting the attacks on its citizens. Instead, the League has appealed to the United Nations Security Council to intervene. The Secretary General of the Arab League will also ask the UN to support its plan by which Asad steps down and a transition unity government is established. The Syrians, true to form, rejected the Arab League's "meddling in Syrian internal affairs." What will happen in the United Nations? Is there the possibility of a Libyan-style military intervention in Syria? It's not likely - Russia, a permanent member of the Security Council with veto power, is a staunch supporter and apologist for the Syrians. The United States, also a permanent member, is not anxious to involve itself in yet another military operation in the region, despite its new-found strategy of "leading from behind." Syria is not Libya - it has a much a more capable air defense system and air force, and the population is spread out over much of the country rather than being concentrated in a narrow strip along the Mediterranean coast. The regional powers, including Turkey, are not likely to intervene. The most likely course of action may be some weak UN resolutions condemning the violence, but meaningful sanctions are highly improbable given Russian support for Damascus. In essence, the Syrian regime will continue to oppress its own population in hopes that they can stop the protests. The government does not show any signs of compromise with the protesters. I do not assess the Syrians as capable of overthrowing the Asad regime at this time. Perhaps if there are continuing large-scale defections from the Syrian military to the opposition, there may be a chance of a change of government. I don't see that happening anytime soon. Without assistance from outside Syria, be it from Turkey, the United States, or the European Union, there is little chance that the government will fall. There is a major concern that argues against any American support for the opposition. The primary Syrian opposition organization is the Syrian National Council, which is little more than a front for the Muslim Brotherhood. Thus, the quandary for the Obama Administration is - do you help remove the oppressive Ba'th regime of Bashar al-Asad and probably usher in an Islamic fundamentalist government? There is precedent: Libya, and to some extent Egypt.